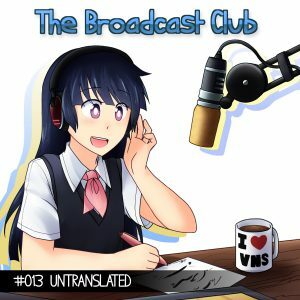 2:27 – Why read Untranslated VNs? Benefits you may not know about? 14:20 – Recommendations for starter/lesser known VNs to try out or ones to avoid starting out? 33:04 – Tips for getting into untranslated visual novels/learning Japanese? Guide to Japanese – A commonly linked resource (created by some /r/vns community members) which provides something of a road map from zero Japanese knowledge to reading native media. Features multiple paths to learning based on personal preferences but won’t teach you Japanese itself. Tae Kim’s Guide to Learning Japanese – Probably the most commonly referenced free resource. Features a solid amount of content to really get you started from nothing with vocab, example sentences, and important grammar points. This can serve as a great jumping off point to get into native material, providing solid fundamentals and provides some resources on how to learn new topics on your own. Imabi – Another instructional course covering an absolutely massive amount of content. Seriously, just go look at the table of contents. 412 lessons, covering everything from the absolute basics up through advanced and even getting into sub-topics like Classical Japanese and Okinawan script. Great choice for a reference as well as a standalone guide. Jisho – A good, basic dictionary. Definitions can be a little dicey at times but in general it’s good enough for E<=>J. Alc – A different kind of dictionary. Great for things like common phrases or expressions that a basic dictionary won’t pick up. DOJG – A thorough, online grammar reference covering the Dictionaries of Basic, Intermediate, and Advanced Japanese grammar. Super useful for quickly looking up grammatical concepts while reading. The site it’s hosted on has a lot of other resources available, too, including their own guide to Japanese with a number of free resources linked. Japanese Recommendations List – A list of starter media for VNs, Video Games, and Manga. Has some feedback on why particular entries are good or bad as well as some basic info on style and any gotchas to watch out for. Generally pretty useful if you’re looking to find something, but as we mentioned in the cast it’s probably best to pick something you’re interested in. Thankfully, there’s some excellent VNs on this list! #learn-japanese – A channel on the /r/visualnovels discord. Features people who like to read VNs and are either learning or have learned Japanese. Solid place to ask questions when you’re reading and stumped.